Arsenal are reportedly ready to go head-to-head with rivals Tottenham for the transfer of Norwich City right-back Max Aarons. The 18-year-old is having a hugely impressive campaign in the Championship, and it seems he could soon be set to make the step up to the Premier League. 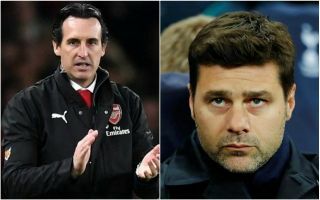 According to the Daily Mirror, both Arsenal and Tottenham are tracking the £15million-rated defender, with Unai Emery’s side ready to match whatever offer Spurs make. Arsenal could certainly do with more depth at the back after an unconvincing season from a number of their defensive players. Stephan Lichtsteiner has not looked good enough as an option to cover for first-choice right-back Hector Bellerin, so it’s possible there could be an immediate role on offer for Aarons at the Emirates Stadium. It might be a bit harder for him to make that quick breakthrough at Tottenham, though he could also look at Mauricio Pochettino’s superb record of handing opportunities to, and improving, young English players.